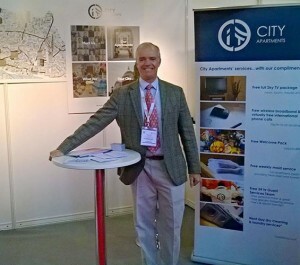 City Apartments enjoyed another successful year at the annual Business Travel Show, this year held again at Olympia. The Business Travel Show is Europe’s largest specialised exhibition and conference for buyers and managers of business travel, and with a stand in the ASAP Pavilion, we really enjoyed catching up with some of our clients as well as meeting lots of new faces. With the leading business travel companies invited to exhibit, as well as talks from industry leaders within the sector, it’s no surprise that the show continues to be the recognised as the most influential exhibition of its kind. Once again the Association of Serviced Apartments (ASAP) was given a dedicated area for its members, reflecting the continued growth and importance of the serviced apartment sector within the business travel industry. 2017 promises to be an even bigger and better show and we’re excited to say we have already signed up!